With less than 2-weeks before season 13 of the Hyundai A-League kicks off, there is a calm before the storm. There have been many distractions in the long off-season within our football community, however, I wanted to reflect on the sport and the current landscape. In my view, all A-League teams have raised the bar in terms of their recruitment for the season ahead. This will only further add to the quality of the A-League in the upcoming season. I am anticipating a hotly contested Hyundai A-League this season and look forward to Round 1. In terms of attendances, whilst the A-League is currently the 5th most attended professional sport in Australia, we are not far away from surpassing NRL and Super Rugby which would result in the A-League being the 3rd largest attended sport. This is achievable following the seasons those competitions have just experienced. Memberships are up 9% and are at the highest number on record at 117,415 with this tend expected to continue for 2017/18. During the NSL era between 1996/97 - 2003/04, the club averaged crowds of 12,403 compared to the current 10,533. However, in the last two (2) years of the NSL, both Championship years, the club averaged 9,873. There was no live television against the gate in the NSL era and nor was English Premier League as accessible on television as it is today. The club membership today is at the highest it has ever been in the 21 years existence of the club. Whilst not denying the spectacular emergence of Perth Glory in 1996, I find this data every interesting and provides perspective in terms of where the club is today and where it is heading. What has eluded the club in its A-League era has been silverware which it craves. We are working hard behind the scenes to achieve in both the A-League and W-League under the new strategic plan, The Perth Glory Way. Whilst I won't make any comment around the current political landscape of our great game in my position as CEO of Perth Glory Football Club, I am looking forward to the day we can align all stakeholders and develop a collective vision for how we want the game to look like in the medium to longer term. When I read and listen to all the commentary surrounding the football issues, I see a lot of ambition. Ambition is great and some of the best outcomes in life are derived by ambition and strong vision. No one can deny the progress of the sport in terms of its participation numbers and the development of the A-League. The emergence of the FFA Cup has uncovered some gems as well as a strong and vibrant community. This has seen the rise of clubs in the grassroots and lower leagues (largely forgotten by 'new football") which has given them a taste and reinvigorated their ambition in what they perceive is their future roles in Australian football. To me crisis brings opportunity to unite the community behind one vision. In a discussion recently with someone I consider a mentor, we spoke to about the concept of matching ambition with capability. Congruence. Without congruence, we can not achieve our ambition irrespective of capability. The key word which best describes our current landscape is incongruence. Finding harmony in the sport and uniting behind one vision is at its most crucial stage. Capability can be built over time by implementing a prioritised phased process. Our biggest obstacle is congruence. I often imagine what can be achieved if we were in a congruent, one sport, one vision environment. Having said that, there is a lot of impatience and the importance of matching the ambition with capability is also crucial. With the demise of the NSL in 2004, football took a direction to corporatise the sport, something that had to happen. Much was achieved in re-landscaping and energising the national competition through the new and glossy Hyundai A-League. Much needed corporate revenue made it possible through a television rights deal with Fox Sports and a naming rights deal with Hyundai. In doing so, we left some key ingredients behind and failed to take a large proportion of the football community at the time along on the new journey creating the divide of "old soccer" and "new football", something that has never sat right with me. Being a Melburnian most of my life and following the game since 1977, I personally saw the huge void that was created at the time with thousands of football fans not taking to the A-League as they felt a sense of non-belonging. This still exists today after 13 years. In my view, it is time to truly connect the entire football community. Not all was bad under the National Soccer League as some may tell you. The National Soccer League clubs were largely responsible for the "golden generation" of developing high achieving Socceroos and Young Socceroos that not only played in the NSL, but went on to play for some big clubs throughout the United Kingdom and Europe. Where the NSL failed was corporatising the sport, something the A-League has succeeded with. Now is the time to connect the football community and collectively develop the vision that will continue to ensure the great game of football prospers in this country. What that looks like? It depends on how we collaborate to articulate the vision and build on the ambition. By doing so, we will unlock some great capability, empower people and organisations and harmoniously execute a carefully devised plan to continue the path for football as the most participated sport and making it the second highest attended professional league in Australia. By embracing the past and uniting it with the present, we can create a powerful landscape for all stakeholders to prosper in the future. Now is the time to develop Football Vision 2025, the strategic plan that unites the entire football community as one sport. There is so much ambition to harness and bring everyone along an exciting journey ahead. For now, I look forward to the FFA Cup Semi-Finals and Grand Final and the commencement of an exciting Hyundai A-League season 2017/18 as I continue to ponder what we can achieve working together as a congruent family. In closing, I would like to reiterate, these are my personal observations which I share openly and which I enjoy discussing with our growing and wonderful football community. Some don't appreciate my opinions or views, however, I feel its important that we continue to strive for better and having the dialogue can only help the development of football. Mike Cockerill from the Sydney Morning Herald, takes a look at the resurgence of the Perth Glory Football Club ahead of the Club's Hyundai A-League Semi Final vs Sydney FC on Saturday 29 April, 2017. The journey so far has been revealing but the road ahead under the four year strategic plan, "The Perth Glory Way" is even more exciting. The last time I penned a message to you was in our 2016/17 Membership brochure when we officially launched our Membership campaign in June, urging you all to sign up for another season of Glory. Since then, it’s been a busy season at headquarters and I am pleased to report that in that time we have achieved some significant milestones as a club. For the third consecutive season, we have broken our membership record ending the year with a high of 8,644 members (a 21% increase on the previous year), noting our target was to sign 8,500. We have now shifted our focus to the 2017/18 campaign where we are striving to break another record by achieving 10,000 members as forecast in our four-year strategic plan released in early 2016. I would like to thank you for your continued and unwavering support and hope that you will be there with us again in season 2017/18 as we strive for even greater heights. As I have said before, only together can we build success and become even stronger. As a member, you are the lifeblood of our football club and we highly value your continued support. Our attendances have also grown this season with a crowd average of 10,533, up from 8,986 last season (a 17% increase) and an A-League record for the club. This places us well on track to achieve our strategic target of 12,500 by 2018. We encourage you to spread the word amongst your family and friends and bring them along to Perth Glory matches next season to share the match day experience. Our A-League team has once again qualified for finals by securing fifth spot. While we had loftier aspirations at the beginning of the season, it’s pleasing that we have been able to earn a finals spot in consecutive seasons as we face Melbourne City this Sunday at AAMI Park for a spot into the semi-finals. 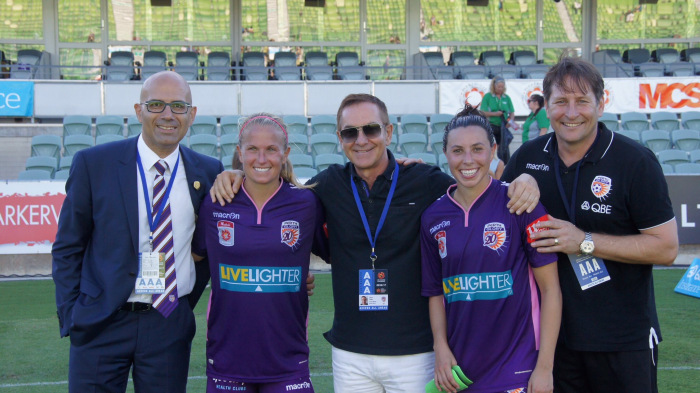 Our Women’s team made us proud by qualifying for a home W-League Grand Final against Melbourne City which was a magnificent achievement and provides us with a great platform to make an assault for our first W-League title next season. The club has moved into a new training and administration headquarters, sharing facilities with Western Force and Rugby WA and also looking to expanding our player amenities at the premises. Simultaneously, we are working closely with Football West in developing a business case and lobbying Government for a new State Football Centre for Western Australia’s largest participating team sport. 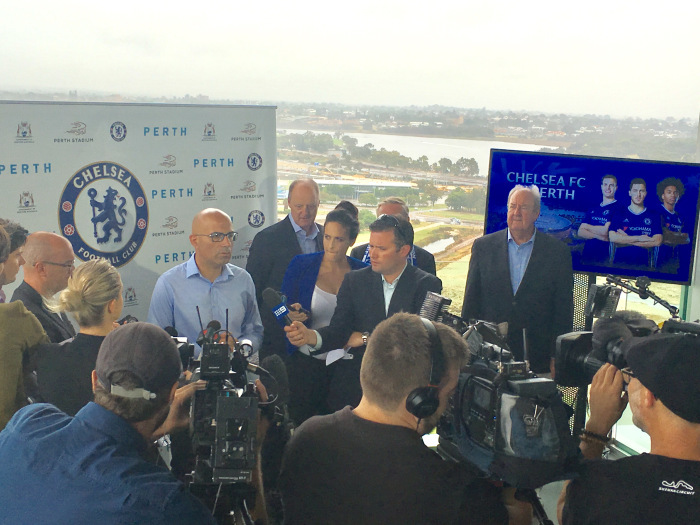 We announced during the year that we will be playing English Premier League giants, Chelsea Football Club at the new Perth Stadium in July / August, 2018. This is another reason to renew your Membership for 2017/18 as you will receive access to a pre-sale opportunity allowing you the first rights to the very best seats in the house on this historic and magnificent occasion. In an independent research report commissioned by FFA and conducted by The Gemba Group, Perth Glory Football Club ranked first for overall membership satisfaction in the A-League. Our members were the most satisfied with the benefits and value of their membership packages, the membership and renewal process as well as the game day experience on offer at nib Stadium. Pleasingly, we were also seen as having the most satisfied members in the A-League with our marketing and communication to members, sense of club involvement and club administration. Easter Sunday marked the end of the regular 2016/17 Hyundai A-League home and away season and what a spectacular match it was for our last home game with nine (9) goals scored in an end to end, non-stop drama right up until the final whistle in front of 12,261 members and fans. While we are pleased with the progress we are making as a Club, the work has only just begun and we will not rest on our laurels, already turning our sights to planning for season 2017/18. It will be a busy off-season as we prepare for season 13 of the Hyundai A-League. As we strive to win our maiden Hyundai A-League trophy this finals campaign in addition to the two (2) National Soccer League trophies, we will continue to aim for a spot in the AFC Champions League. With your continued support, we are determined to once again break our membership record and surpass 10,000 members and head towards average crowds of 12,500. Our NPL teams are in full swing at the moment and we encourage you to support our teams where possible. As mentioned our Most Glorious Player (MGP) Awards will be held on Saturday 13 May, 2017 at the Perth Convention and Exhibition Centre. We look forward to seeing you on this prestigious evening. Today, our full attention turns to AAMI Park in Melbourne, where we face Melbourne City in a crucial Elimination Final. I am sure you will join me in wishing our team all the very best for this match. A win today will secure a spot into a Semi-Final match to play off for a Grand Final berth. Those who will be at AAMI Park for the match, make your presence felt and to those watching in pubs and homes throughout Perth, support with gusto. In closing, I would like to once again sincerely thank you for your membership of our football club. Our 2017/18 Membership campaign kicks off soon and with your continued support we are confident of an even bigger and better 2017/18 Hyundai A-League season. It’s been 12-months since Perth Glory unveiled its ambitious and bold four-year strategy on 24 February, 2016 called “The Perth Glory Way”. 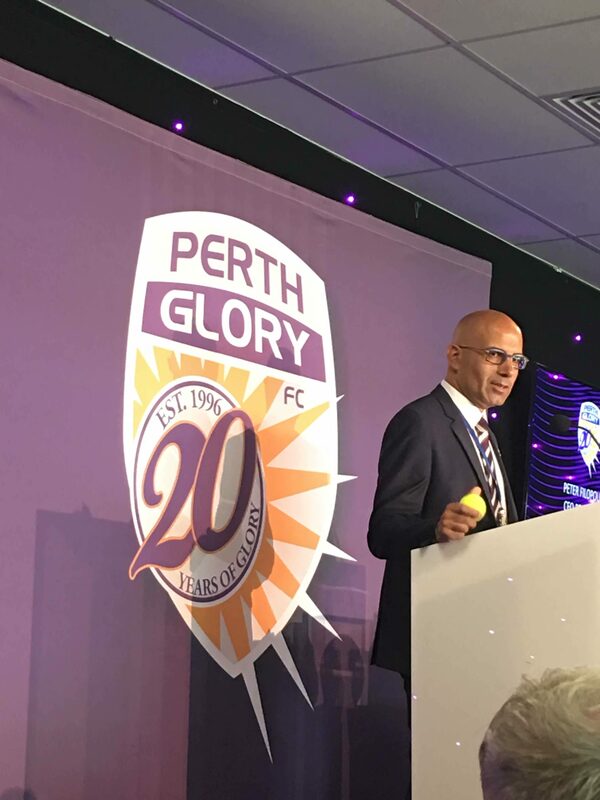 Perth Glory and the team at the then Strategic Intelligence Group and now PwC, wrote the strategy after wide consultation with all quarters of the Perth Glory Football Club, using Einstein’s maxim above, “learn what is the pathway to success and then play better than anyone else”. Ensure that The Perth Glory Way and the values Perth Glory espouses (Loyalty, Passion, Respect, Innovation, Excellence, Trust) is incorporated in all interviews, media engagements, public relations and social media. 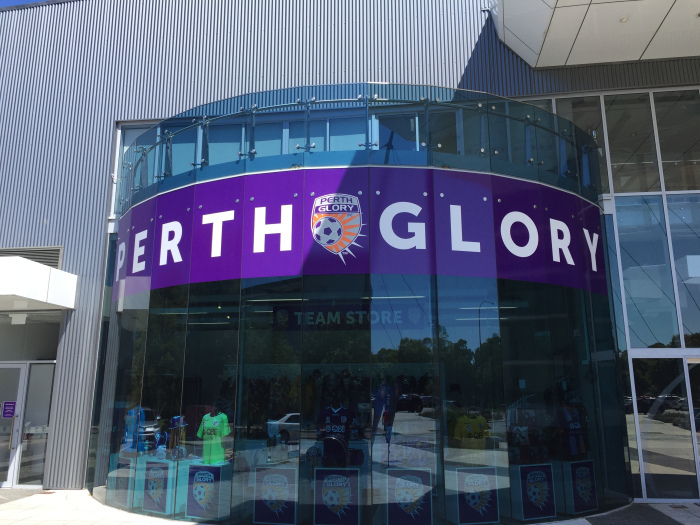 The Club has progressed in leaps and bounds since 2015 and its people are now focused and united under the one banner of “The Perth Glory Way”. Having a clear strategy and direction has definitely provided a good framework for everyone at the club. Under Kenny Lowe’s stewardship (from season 2014/15), the team has seen its best win-draw-loss ratio (34W – 19D – 21L) in Hyundai A-League history. In fact, since unveiling The Perth Glory Way on 24 February, 2016, our team has earned the second highest number of regular season points and scored the most goals in the A-League, crossing both 2015/16 and 2016/17 A-League seasons. After finishing 5th in 2015/16 and qualifying for finals, as it stands at Round 20 of the 2016/17 Hyundai A-League season, the club finds itself in fifth (5th) position and only two (2) points from 3rd position. Perth Glory have not been lower than 6th for the whole season. The remaining seven (7) rounds provides the club with an opportunity to not only secure 3rd or 4th spot which will see us secure a home final, but also a possible Asian Champions League spot. The club has scored the third highest number of goals in the A-League this season with 38 goals through the exciting attacking options of Andy Keogh, Adam Taggart, Diego Castro and Chris Harold. No doubt we need to tighten up at the back where we have been conceding more goals than we would have hoped if we are to realise our ambition of 3rd spot, but then again, as Kenny says, if we keep on scoring more goals than we concede, then we get the same result. Castro is peaking at the right time, Taggart is scoring goals consistently, Harold is second in goal assists in the league and Liam Reddy has been in superb form in goal. 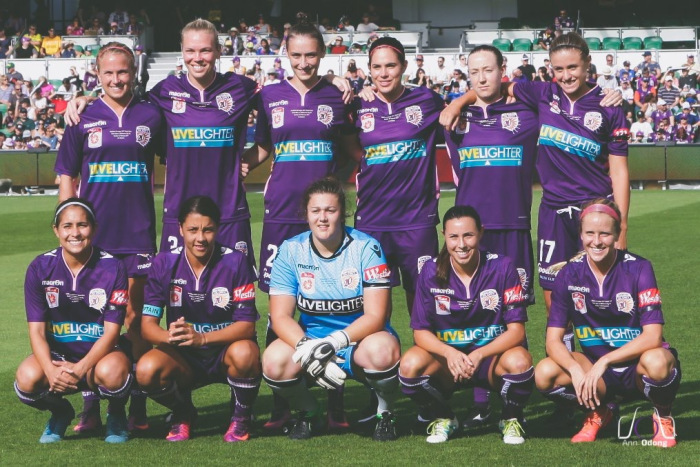 Perth Glory has focused strongly on growing and developing as a Club. The goal of “Perth Glory will be a club for all Western Australians in which they can be proud, always” is part of the reason why Perth Glory have brought in so many Western Australians of absolute merit into the team. The sight of a full “Shed” at the Northern end of nib Stadium shows the pride is back. Our social hashtags of #GLORYISOURS #WAPRIDE has resonated with the Perth Glory faithful who have so much hope for their club and team. Membership continues to soar at Perth Glory Football Club. The fans and members have responded to the club’s push for membership and we are grateful for this. We have now achieved a consecutive club membership record with over 8,500 Members, a 20% increase on the previous season and a 36% increase since 2014/15 and almost double in five (5) years (since 2012/13) as we turn our sights to 10,000 from next season. 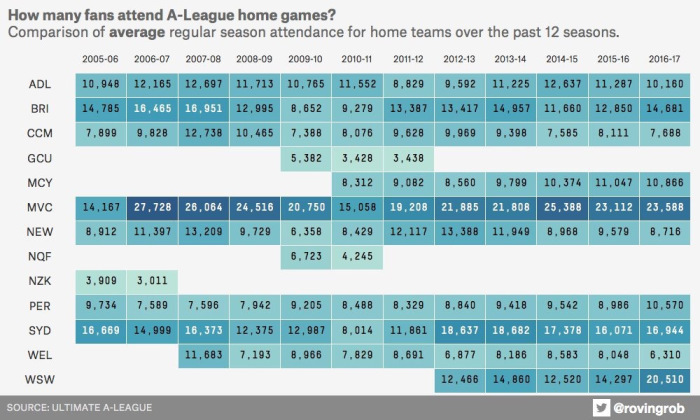 Since unveiling The Perth Glory Way, our attendances have been very strong for which we thank our fans and members. 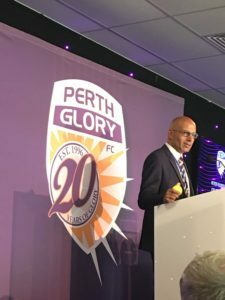 In analysing the numbers, we have the highest percentage change in average attendances in the A-League post the Perth Glory Way being unveiled on 24 February, 2016. Our average attendances have increased by 56% since that time. Perth Glory’s average attendance is now 10,700, up from 6,874 in the first part of the 2015/16 season following the unfortunate salary cap saga which plagued the club during the 2014/15 season. Overall, this year’s crowd average of 10,700 represents an 18% increase on the previous full 2015/16 season. Our attendance average for 2016/17 is now the highest for the Club in its 12 season A-League history. We have some big games ahead of us this season and we hope to further improve this average attendance number at home. Our television audiences have also increased by 15% with average viewership on FoxSports of more than 60,000 viewers nationally. Our women’s team made us proud this year. Led by flamboyant ex-player and now coach Bobby Despotovski as well as our world-class captain Samantha Kerr, they qualified for their second W-League Grand Final in three (3) seasons. A magnificent achievement in itself. Unfortunately, we didn’t manage to win against Melbourne City on the day in front of a home crowd of over 4,500 people, however, we have a great platform to work from. The attendance of 4,500 and viewership total of 165,000 on Fox Sports and ABC was a W-League record. I caught up with the women after the game over a few drinks and they were super excited and can’t wait to get back for next season to go all the way. A terrific bunch of ladies who we are extremely proud of. A consistent administration helps make progress as a club and I am pleased that we have a stable, dedicated and extremely hardworking team who embody the lofty aspirations of the Perth Glory Way. As I stated in our message to the Members, our achievements to date is a testament to everyone at the club, on and off the pitch that the Glory Days are back as we strive to hit 10,000 Members and beyond and 12,500 average crowds as our part of our four-year strategic plan. I work with some amazing people day-to-day and that’s what makes Perth Glory Football Club a special place to work. In November, 2016, we moved into our new administration and retail headquarters sharing facilities with Western Force and WA Rugby. It is situated near the training base and we are essentially now within 20-30 metres of each other (football and administration). Over the last 18-months we have also been working on a business case which has been submitted to state government for a new $40M state football centre. In January, 2017, Premier Colin Barnett, announced a pledge by the Liberal Government of $37M towards the state football centre. 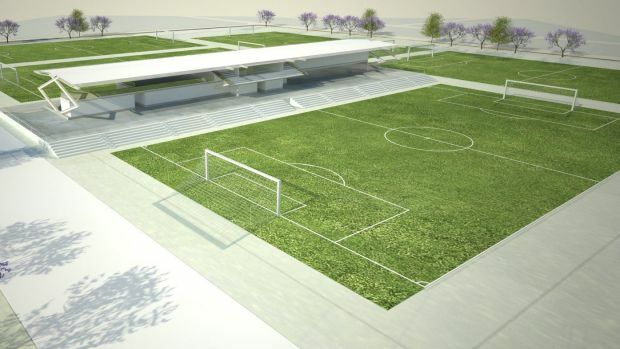 This facility will provide for all the needs of Perth Glory Football Club and Football West with four (4) pitches, floodlights, grandstand for 2,000 and overall capacity of 4,000 and training, high performance and administration facilities. Special mention must also be made about our Chairman and owner, Tony and wife Lucy, who make a lot of sacrifices to make it all possible. Their support is essential and very much appreciated. This season we have also celebrated our 20th season of national competition and it’s been great to be able to pay tribute to our history. At our Round 1 fixture this season, we managed to gather a number of players and officials from the Club’s inaugural season – 1996/1997 – to celebrate the occasion. 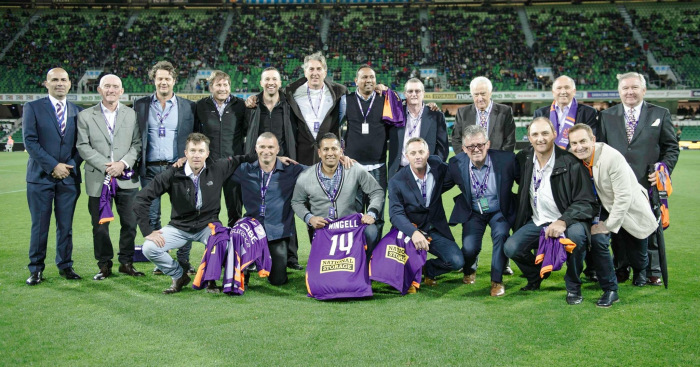 The occasion was one to celebrate, after all, Perth Glory’s spectacular emergence in 1996 was critical to changing the football landscape in Australia for ever. In fact, the new A-League was modelled on clubs like Perth Glory, something that is often forgotten and something we as a club should always be proud of. We were the “game changers” and our forefathers should also be acknowledged for this. We have also had visits from NSL coaches, Bernd Stange and Mitch d’Avray during the season. A true feeling of nostalgia at the club and a growing appetite to bring back some success and trophies. It was also great to gather some of our forefathers together, Nick Tana and Paul Afkos (co-founders of the club) along with current owner and Chairman, Tony Sage. 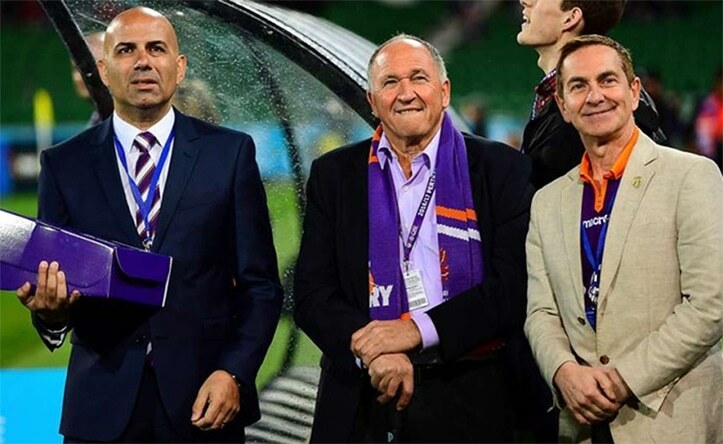 Too often it is forgotten how Perth Glory spectacularly emerged in 1996 under the National Soccer League and the significant influence they had with re-landscaping football in Australia with the creation of the new A-League. It was opportune to honour people like Nick Tana and Paul Afkos who founded the club with such boldness and for Tony Sage for carrying the torch and keeping the dream alive. A rare shot at the Round 1, 2016/17 20th season celebration match. 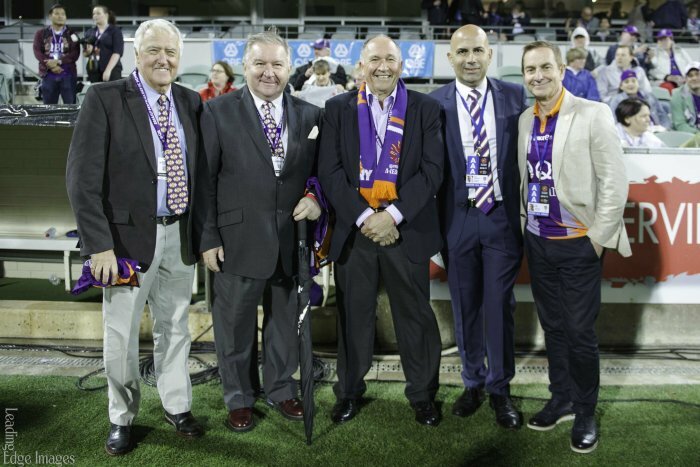 They call this the Perth Glory “money shot” as it’s rare to see all these people together, from L-R, Roger Lefort (original GM), Paul Afkos (Co-founder), Nick Tana (Co-founder), myself and current owner, Tony Sage. It was a great day thoroughly enjoyed by all. It was a delight to announce that Perth Glory will play in an international friendly against English Premier League Giants, Chelsea FC at the new world-class Perth Stadium in July / August, 2018. This has been a terrific initiative by the WA State Government, Tourism WA and Venues Live and look very much forward to the opportunity. Everyone at Perth Glory, and indeed all of WA, are looking very much forward to one of the world’s biggest football clubs playing international football in our magnificent state of WA and at the state of the art, Perth Stadium. It would be wonderful to see 50,000 plus fans fill the Perth Stadium for an international football game involving Perth Glory. Over the last 12-months we have also participated in tournaments in Asia for our young teams with tournaments in Japan and Malaysia. Our pre-season tour was conducted in the Philippines. The club is still looking for a suitable partner to take one of our Hyundai A-League games to Asia on an annual basis. We are continuing along this ambition and having meaningful and regular dialogue with potential Asian partners. Even above all of the metrics are the clear values that the club now espouses (Loyalty, Passion, Respect, Innovation, Excellence, Trust) in all media and interactions. 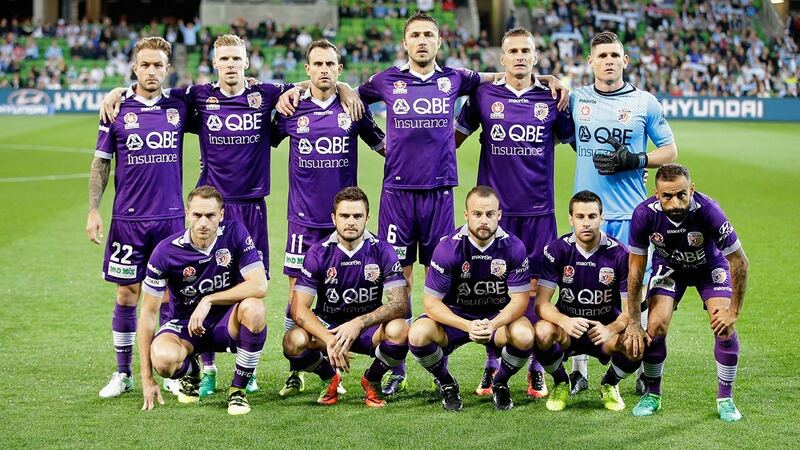 Perth Glory was recently seen as the most trust worthy sports brand in WA social media. “Excellence is not an exception, it’s a prevailing attitude”. We must always excel, as we have in the last 12-months. So thanks to a long list of the Perth Glory family that have started this renewed journey to continued success for all of WA. To Tony Sage, Kenny Lowe, our wonderful players, staff, government, sponsors, our phenomenal fans and members, and all the stakeholders we thank you. As he walks through the foyer of the Crown Metropole in Melbourne, there is a noticeable spring in the step of Tony Sage. Sinking into the lounge, there is also a large smile on his face. The Perth Glory owner and West Australian mining magnate is in a good space. It’s a long way from the heartbreak of almost 18 months ago when Glory were stripped of points and kicked out of the finals over what Football Federation Australia said was systematic rorting of the salary cap. Everyone was on Sage’s back, from FFA to the fans to the media. He has always had a love-hate relationship with the fans, but the calls for him to get out of football and sell the club had reached a crescendo. While he told The Weekend Australian at the time that he had to take the blame for not keeping a better eye on how the club was being run, it wasn’t enough to appease the supporters. 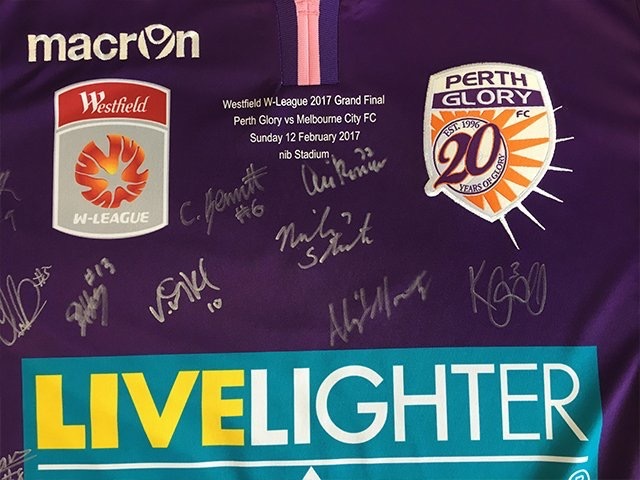 On the back of a new management team led by respected administrator Peter Filopoulos and the astute coaching of Kenny Lowe, Glory got their house in order and won back a lot of respect last season in finishing fifth — just six points off the Premiers Plate — before falling at the first finals hurdle. Having made the finals in four of the past six seasons, including a controversial grand final loss to Brisbane Roar in 2012, Sage is desperate for his club to win an A-League title. He admits it is what drives him and why there is no way he will sell the club. Sage revealed he has had offers from China over the past 18 months, but is holding off. “I am very committed to (owning ) the club,” Sage says. “I have always said I wouldn’t consider selling until I won a title. There is also the matter of trying to get something back on his massive financial investment. Sage said he was hopeful Glory could go close to breaking even by the end of next season, but said that was dependent on the clubs getting a better commercial deal with FFA. “At the moment we are getting money from the TV deal but not from the commercial rights, like the sponsorship from Hyundai. There’s no prizemoney and nothing from the gates from the finals,” he said. “The clubs have lost about $230 million between them since the A-League started (in 2005). People call the owners greedy, but how is losing that sort of money being greedy? Sage has never been one to be afraid of butting heads with the FFA. He even does it with his CEO, Filopoulos. Sage is delighted with where Glory are headed. The club should reach around 8000 members at some stage this season while he is close to concluding a deal with an overseas club to take control of the Glory’s junior set-up . But the pinnacle remains an ALeague title. Only then will the missing piece fall into place for Tony Sage. With the National Premier League season almost finished across Australia and the FFA Cup in full swing where Hyundai A-League Clubs are pitted against National Premier League clubs in the Quarter and Semi Finals, the debate around a national second division and a promotion and relegation system has intensified in recent weeks and months. As an A-League CEO and senior administrator within the game of football, I believe that these conversations are healthy for the continued prosperity of our game. Whilst I am not a proponent of promotion and relegation in the sense of an immediate time frame like several other traditionalists and purists, we do need to set a clear roadmap towards a possible promotion and relegation system, whether it’s a medium to longer term ambition or not. This week I was interviewed on the Outside 90 podcast the Daily Football Show hosted by Mark Van Aken and Adrian Houghton on a dedicated show on the topic of promotion and relegation. During my interview I put my thoughts forward around the way I see we can make progressive steps towards what many are calling for – a national second division, promotion relegation etc…..
Whilst the opinions I expressed are my personal views only, I believe that these views are up for debate and discussion as they are conversations that need to be had to develop the vision for the future of our competitions’ structure. The Whole of Football Plan which was unveiled by FFA in 2015 is a good plan for Australian football and a document which can become the blueprint for our sport provided we are prepared to continually review and refine as circumstances and priorities evolve over time. The underpinning of the financial model of the Hyundai A-League and its current ten (10) clubs is crucial. There is no point embarking on an expansion strategy or implementing a second division with promotion and relegation until the commercial model is rectified to financially underpin the league as it stands and its existing 10 clubs. The current model sees most A-League clubs lose money each year and this has been the case since the new A-League was launched 11 years ago which has served the league well to date by unlocking private equity investment. Pleasingly the FFA and the Clubs are currently working diligently and collaboratively to review the 11 year old A-League commercial model with the desired outcome being to devise a model which provides a fairer and transparent distribution of a A-League generated revenue and IP between the A-League Clubs and other FFA priorities under their remit. At the same time, the new broadcast deal negotiations are well advanced with the current rights expiring at the end of the 2016/17 A-League season and there is much anticipation around a new and improved financial deal with a free to air component to complement the great work Fox Sports currently perform for the Hyundai A-League. Improvements to the current commercial model and broadcast deal will deliver a more sustainable league and this needs to be completed and implemented before we can even contemplate expansion, a national second division and promotion and relegation. Over the next 12 months the A-League is also embarking on a major brand refresh in readiness for season 13 (2017/18) to coincide with the new broadcast rights. The refresh is both welcome and timely given the brand was developed 11 years ago. The brand refresh will play a key role in shifting the perception of the league in the hearts and minds of our growing football community. For season 12 there will also be a major shift of our target audience in our marketing efforts towards families and grassroots which is a welcome shift where we can “fish where the fish are” and begin focusing on connection and engagement of our large and growing participation base rather than just boasting the participation numbers as we have in the past. Once we have developed a stronger A-League commercial model and negotiated a new and improved broadcast deal which have both delivered improved financial sustainability of the A-League and its existing clubs, the priority needs to shift towards developing a road map for expansion of the current 10 team Hyundai A-League initially to 12 and eventually to 14, 16 or more. This needs to be done in a careful and considered manner. Currently there are nine (9) Australian clubs with playing rosters of 23 each representing only 162 Australian players (i.e. 207 players less 45 visa players) being given an opportunity to play A-League. If we add the mature age rookies clubs can recruit outside the 23 playing roster (1 x mature age rookie each club), this number increases to 171. The Whole of Football Plan demonstrates that whilst the Australian population will increase from 23.6M to 30M in 20 years time, the football community will double from 7.5M to 15M and the participation base will also double from 2M to 4M. It also shows that registered participation will more than triple from 600K to 2M in 20 years. The above statistics personify the need to develop a road map for expansion sooner rather than later and at the same time ensure that expansion considers compelling statistics as to where the growth will come from so that we are able to cater for that growth with an A-League presence. Expansion would provide more opportunities for our players and coaches for full time careers in their chosen sport within our own environment as opposed to obscure leagues overseas. Our off-season is way too long and our season is too short in my view and expansion can help address this issue. We have so many crucial regions of Australia unrepresented of A-League and a presence would help further develop football in those areas. Currently we have four (4) teams in NSW, two (2) in Victoria, one (1) in Queensland, one (1) in Western Australia, one (1) in South Australia and one (1) abroad in Wellington, New Zealand. If we overlay the registered participation numbers and the regions that remain unrepresented, we may find some use to this information providing the solution. Do our priorities lie in the the South East of NSW covering the Cronulla to Wollongong region? Does Victoria need a third team? There have been murmurings from Geelong? Recently Football West in WA put their hands up for a second licence, is it WA? I have also recently heard that Tasmania is working in the background to develop a business plan for an A-League club to be based out of Hobart. Do we create new A-League franchises or do we entertain existing traditional clubs which served the sport so well in terms of producing players in the 1970’s, ’80’s and ’90’s often dubbed “The Golden Generation”? Whatever the case be, these decisions need to be made with caution and based on strong research as well as strong and viable submissions addressing all the criteria from a variety of priority regions and clubs, be they newly formed consortiums or existing National Premier League Clubs. 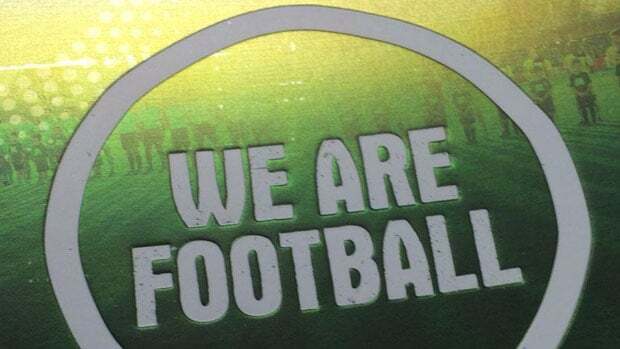 There are around 600,000 registered football participants in Australia and around 2.5M people engaged with football. A close look at the breakdown of these numbers state by state could also be a telling tale. Almost half of football’s registered football participants come from NSW, so a push for another club from that vast region is compelling and which will need to have a distinct geographic value proposition with the Greater Western Sydney region covered by Western Wanderers, the Inner Sydney and East Sydney area by Sydney FC and of course the Northern NSW region by Central Coast and Newcastle. FFA deserves credit in the process they undertook in developing the Western Wanderers brand and the success that has become of this Club. The key learnings from this process along with the learnings from the past mistakes such as Gold Coast and North Queensland Fury will serve FFA well when it comes to identifying and delivering new A-League clubs in strategically placed regions when the time is right. There is no doubt that the introduction of the FFA Cup and National Premier League (state based competition) have been successful initiatives implemented by FFA. 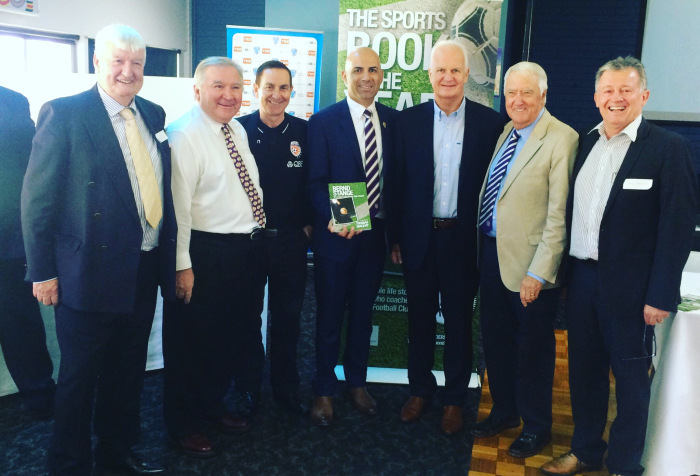 Together, these initiatives have managed to engage the football community and re-engage and raise the profile of Australia’s “traditional clubs” with long and proud histories. I can only see how it has reinvigorated my old club South Melbourne who have a spring in their step and new purpose with their role in Australian Football – which in turn has intensified their well documented aspirations. I often wonder whether a national second division across two (2) conferences of 10 teams would provide a better platform to migrate the best next tier 400 players to further improve the quality of the league and the opportunities for players (and coaches) to prosper to an even higher standard competition, enhancing their abilities to be recognised by A-League clubs. Concentrating the next best tier of talent in a high quality national second division would further enhance the current NPL system and the opportunities for these players in the A-League. An example could be one conference comprising of Tasmania, Victoria, South Australia and Western Australia and another conference comprising of ACT, NSW, QLD. A national second division could also potentially unlock new private equity investment in these clubs where they can build upon their foundations and brands for when one day football is actually ready for promotion and relegation. A business case on the viability of a national second division would need to be developed, however, some of the considerations would need to include hybrid A League minimum set of criteria around financial strength, membership, playing facilities, up-front capital to kick start the league, on-going working capital, junior academy set-up, facilities and the list goes on. Given the success of the FFA Cup broadcast, I would also envisage that there would be an incremental broadcast deal that could be negotiated. Sporting content is still relatively cheap in comparison to other content. On the back of the success of the FFA Cup, a broadcast element would be a key objective notwithstanding that digital disruption enables a number of new platforms to exploit. Whether promotion and relegation is 5, 10 or more years away, I am of the view that until we embark on a process, this will remain a distant reality. A-League competition expansion will come as a product of sustainable commercial growth, via a managed process of “in and out” as circumstances arise, rather than a relegation and promotion system based purely on results. This is critical to retain the strategic market placement of clubs which underpins the commercial viability of the league. The above is a valid statement in many respects. Do we really want to see a situation where our competition is not truly national? Football was the first national competition of any sporting code in Australia when the Philips Soccer League was launched in 1977 and has been the cornerstone of our national competition ever since. Pleasingly, new Chairman, Steven Lowy was quoted in a Herald Sun article written by Matt Windley in May 2016 titled Promotion and Relegation still firmly on the agenda of FFA Steven Lowy where he acknowledged that promotion and relegation was certainly on the agenda at FFA board meetings for discussion. There are many purists who would disagree with the views I have expressed and the process I propose as a roadmap towards promotion and relegation and would prefer we implemented it immediately under the current model. The question I pose is, if we were to implement it here and now, how sustainable would it be? Are our foundations strong enough to achieve this at the present time? I would suggest not, however, as many would agree as would disagree. As the debate continues, our beautiful game will continue to prosper in Australia. Over the Christmas / New Year break, our family travelled back home to Melbourne to spend the festive season with our respective families. Having moved to Perth in August 2015, we haven’t had many opportunities to catch up with family since then, so we enjoyed our time back home for the week. Whilst in Melbourne, we arranged to attend a couple of sporting events, including Perth Glory’s match against Melbourne Victory on Sunday 27 December at AAMI Park as a priority. At that match, Glory salvaged a point in a hard fought and controversial contest with the end result 1-1. A healthy crowd of 22,554 were in attendance, as is always the case at Melbourne Victory. Perth Glory’s marquee player, Diego Castro, recruited from Getafe in the La Liga in Spain was on display and who has hit some great form in recent weeks. The skill level displayed by Diego on the night was a delight to watch and every aspiring young footballer could benefit from watching this professional play football the way he does. He was clearly the best player on the ground against Victory. This is the quality fans can enjoy at A-League matches and also at that game, there was plenty of other quality on the pitch. 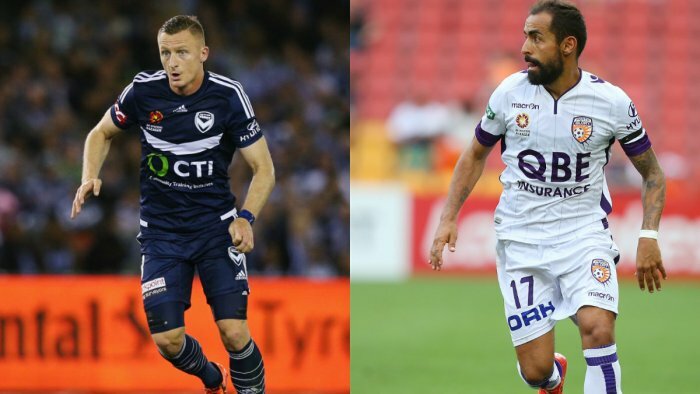 There is always excitement around players such as Besart Berisha and his duel with our defender Michael Thwaite on the night was outstanding. Who could forget the controversial penalty decision for Besart and the reaction from our goalkeeper Ante Covic after the incident and also in the post-match interview. 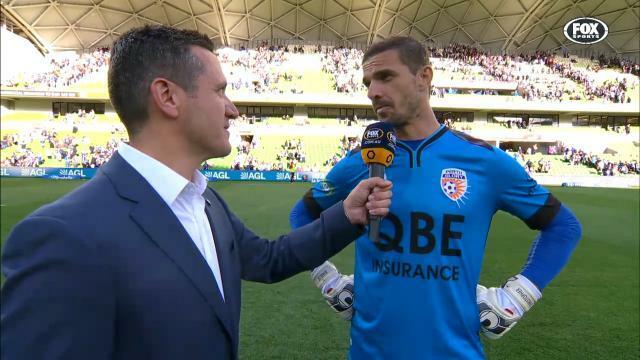 Ante Covic after the game with Fox Sports presenter Michael Zappone speaking about the controversial penalty decision. Pure passion and emotion and whilst his comments were controversial, this is what the fans want to see at home. It was great television. That Wednesday, 30 December, we attended the Big Bash League game at Etihad Stadium between Melbourne Renegades and coincidentally the Perth Scorchers. It was opportune for me to return to a stadium where I spent seven years of my professional life and have so many fond memories. We saw our new home-town BBL team, the Perth Scorchers win and we were happy. The game itself didn’t really capture our imagination and whilst it was great to be there on a nice balmy Melbourne evening at a world-class stadium with the roof open, to us, the game wasn’t that exciting. There was a fan sitting near by whom for some reason kept on yelling to his mates really loudly, “This is way better than soccer lads, at least we won’t see a 0-0 draw here”. I am not sure as to why he felt compelled to repeatedly tell his mates this, obviously the cricket wasn’t exciting enough. Ironically, I was in my seats thinking similar thoughts of the Big Bash League and how uninteresting it was, in fact, I enjoyed chatting with former colleagues in the Medallion Club more than watching the game. I suppose it comes down to personal preference as I haven’t been a massive cricket fans since the Chappell days. Nevertheless, we enjoyed the evening experiencing the atmosphere and the jovial crowd. There’s a lot going on off the pitch engaging the crowd which keeps it entertaining. Leading up to this BBL match, I was impressed and intrigued with the remarkable free to air television numbers that the Big Bash League was attracting on Network Ten, over 1.26 million national average to be exact. In comparison, the Hyundai A-League’s national average at present is 76,000 on SBS2 and 62,000 on Fox Sports, so when on the night of the BBL match we attended they announced a crowd of 28,000, I was not surprised at all. There’s a lot of hype around the Big Bash League despite their participation base compared to our soaring numbers. Even stadium management were pleasantly surprised with the attendance that had projected around 20,000 to attend in planning. It’s been well reported that event the Women’s Big Bash League is drawing a national average audience of 372,000. To me this is a strong indicator that if the A-League was on a free to air network, we would do very well. The numbers above are very hard to compare as they are not really apple with apple comparisons i.e. Free to Air television (BBL and WBBL) vs Fox Sports and the hidden SBS2 channels (A-League). Only 30% of households have access to Foxtel and 4 of our 5 games each week are televised on this platform only with the 5th one on the hidden SBS2 Channel, so there is not much to take from this statistic other than to see the opportunity we have if the A-League had a free to air broadcast partner. Where the difference lies between the two competitions is the marketing and PR. The marketing of the Big Bash has been brilliant and it goes beyond just the great coverage Network Ten has been able to provide on the free to air network along with the promos across the network. In my short time in Melbourne over Christmas and New Year, the Big Bash League saturated the market with tactical marketing messages. It was almost impossible to not know that the the BBL was on in Melbourne. Personally I learned about the BBL via, emails, several radio stations we tuned into, television, outdoor advertising, plenty of editorial and advertisements in the press, radio and TV, targeted campaigns via Ticketmaster, Ticketek, social media, video content and it goes on and on and on. If you were in Melbourne over festive season and you didn’t know the BBL was in town that week, one game at Etihad Stadium and one at the MCG, a period where people are looking for something to do, you probably had your head under a rock. This marketing is costing millions, funds that are readily available to Cricket through their broadcast and commercial deals and they are prepared to invest heavily in their BBL product. It is clearly evident that the BBL marketing is integrated with a good mix of above the line and below the line tactics and a world class digital strategy which drives the large attendances. The marketing is over-arching across the competition with localised components, a top down and bottom up approach. Conversely, I did not notice much of a tactical marketing presence for the A-League at the same time and maybe it was drowned out by the noise around the BBL. Network Ten pushed the games very had on the network. We clearly have some work to do in this space and as a collective we recognise and are addressing this as a priority. What football has that cricket hasn’t is a large participation base from which we can draw upon. It is here that I believe we can make a massive difference. Linking the grassroots to A-League Clubs and driving them to our matches is a key. On the following Saturday night, 2 January, after watching Perth Glory unfortunately go down to Brisbane Roar on Fox Sports, we made our way to AAMI Park to watch Melbourne City Vs Sydney FC, a match I predicted would be a great spectacle. We weren’t disappointed, as we witnessed a fantastic game of end to end football with four goals scored ending in a 2-2 draw. The crowd was bigger than the normal Melbourne City crowds, however, at the same time, the twitter newsfeed was also telling me that a huge crowd was rolling up to the Big Bash League derby between Melbourne Stars and Melbourne Renegades across the bridge at the MCG. 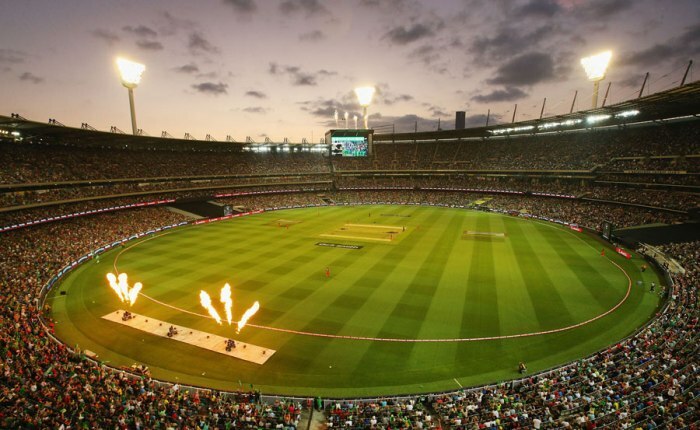 When the final attendances were announced at the respective venues on that evening, there were over 80,883 at the MCG for the Big Bash League and 10,140 at AAMI Park for the Hyundai A-League. In the earlier A-League match we watched on Fox Sports from Suncorp Stadium attracted 17,696 fans. 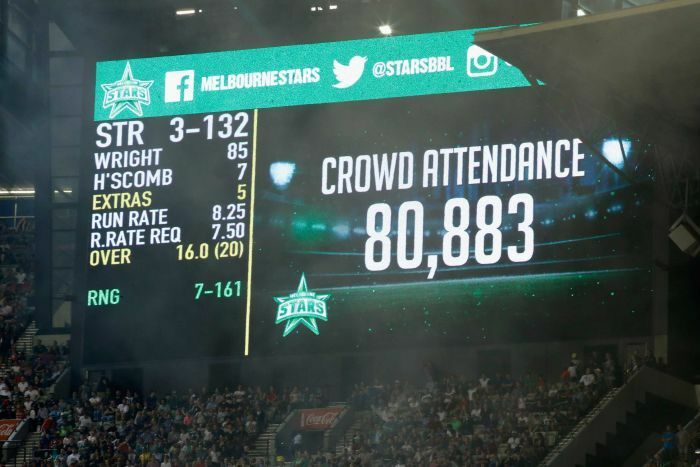 80,883 attending the Big Bash League is astounding! Across the Nullarbor Plain in Perth, the Scorchers also attracted 20,444 at the WACA. Two (2) games of BBL attracting 101,327. Across our five matches in the corresponding week, the A-League attracted around 70,000 fans to our matches. Granted the BBL is a much shorter competition and we run over a 27 week period, but clearly we have to review what we are currently doing and how we can better market the A-League. A-League is currently averaging 11,904 fans attending each game (9% down on last season) whereas BBL is averaging around 30,000 fans at their games at present on the back of last year’s 22,776. This got me thinking on the way home. What are Cricket Australia doing right and what are we as football not doing right? It has been top of mind since the other night and I cannot fathom how this could happen. Afterall, the Hyundai A-League is in its 11th season and the Big Bash League is in its 5th season, our participation base is soaring and cricket’s is not so and subjectively, I think our “organic” product is better than theirs. To me it all comes down to marketing and PR. Too often we hear, if only we football was on free to air television??? This may be true to a certain extent and we will definitely improve our broadcast numbers significantly on free to air television, however, we cannot look at the broadcast situation in isolation as the the solution to everything as I believe the big difference comes down to the way the Big Bash League is marketed compared to the Hyundai A-League. The price of tickets is another learning from the BBL. Cricket Australia has a powerful marketing division at head office and abundant in resources. Perhaps an investment in our marketing capability is something we need to also review. Of course it comes down to money and it is a cart and horse issue. A better and more lucrative broadcast deal (as per the BBL’s with Ten) would provide much needed additional funds and resources to market the league more widely and aggressively. The product on display at AAMI Park that we attended between Melbourne City and Sydney FC, was outstanding. The match was a fast, end-to-end, hard fought contest with plenty of skill and vigour on display and with four great goals scored. Earlier on Fox Sports, we watched another great game between Brisbane Roar and Perth Glory with three goals scored. My two sons and I were pretty satisfied with the two matches we had watched having seen seven goals and some great football, despite our disappointment at Glory’s loss who had shown some great endeavour and were unlucky not to secure at lease a point from our visit to Suncorp. Both these games deserved much bigger attendances, particularly the match at AAMI Park. In Perth, our crowds have ranged between 7,000 – 9,000 this year and we have a lot of work to do in this regard. We have had some challenges around scheduling given our unique circumstances in this market with heat, however, we now have Saturday night kick-offs at 6:40pm and are looking to building upon these attendances in the coming weeks. Our results over the last 5 weeks should hopefully help the cause where we have won 2, drawn 2 and lost 1. This Saturday night for our match against Adelaide United at nib Stadium, all kids come free with a paying adult and hope to see as many people take up this opportunity for what should be a fantastic game between two clubs coming into the game with strong recent form. We have a busy few weeks coming up as the January transfer window opens on Tuesday 5 Jan as we try to bolster our team with some new players, so watch this space. With all the hysteria over the last fortnight since Rebecca Wilson’s expose on the 198 banned A-League fans, I think what has largely been overlooked is that, after many decades of football playing second and third fiddle to other codes, football has arrived bigger and stronger than ever. Since this latest attack on football, I have been overwhelmed with the response from the football community which has come together and galvanised stronger than ever. Amongst the adversity, it’s time we capitalised on this passion and united front and turned it into our advantage. Having only returned to football professionally in August this year after 15 years working within the AFL, a world-class stadium in Etihad Stadium and more recently Swimming Australia, I can assure you that something I saw very evident in the boardrooms of rival football codes and other sporting clubs and associations, was a growing acknowledgment of the significant growth of football in the grassroots and the emergence of the sport in terms of our national teams and the incredible fan experience at many of our Hyundai A-League matches. They know we are coming and they are concerned. One thing for certain is that football is now a real threat! 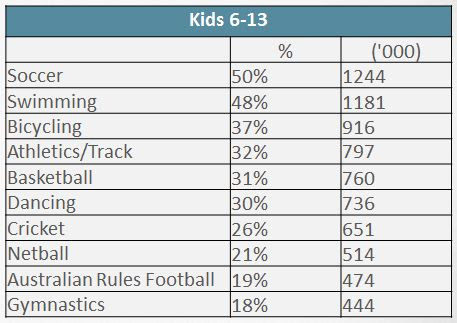 It is therefore no coincidence that Rebecca Wilson’s article and Alan Jones’s outburst on radio comes at a time when Roy Morgan released data clearly showing that football is the number one sport amongst kids aged 6-13, in fact 50% of all kids play football. More alarming is the fact that more girls are now playing football than netball…..
How exactly Rebecca Wilson came to accessing such confidential information of the 198 fans that have been banned from Hyundai A-League matches around Australia remains a mystery, however, what hasn’t gone unnoticed is that both Rebecca Wilson (through her partner) and Alan Jones have links to the Sydney Cricket Ground Trust which manage Allianz Stadium and would have access to this information. We need to identify where this leak has come from and more importantly, the motivation behind this leak. Whether you think I’m a conspiracy theorist or not, to me it’s paramount to identify and expose this leak as there is an underbelly of ‘haters’ trying to cause damage to our sport. 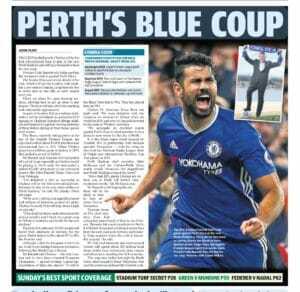 Rival football codes are powerful in Australia with strong concrete links into media, government and key influencers. I know too well how much influence AFL and NRL have in these mediums and they will not stand by to watch football take over and will do whatever they can to control the share of voice. Whilst I can understand why the fans are upset, they feel abandoned and alone in this attack and key figure heads missed the opportunity to strongly defend them publicly, we must not forget that amongst the 198 banned fans, there are many bans that are very much justified. In Perth last year, a young 10 year old boy had his leg burned by a flare lit by one of these now banned fans. Notwithstanding this, I also think that we need to ensure we exercise care when we are banning alleged offenders. Is the evidence compelling, is there an appeals process in instances where people have been wrongly accused, how are we advising the affected fans and how are we presenting the evidence against them? Are our stadiums well equipped and trained to deal with a different type of fan, one that is more passionate and wants to participate in authentic fan engagement within their active fan areas? We support the fans and enjoy the colour and atmosphere they bring to the games – The Fans are are our biggest asset! Having said this, I would have liked to have seen the fans not boycotting our A-League matches over the weekend so as not to give our detractors any more reason to judge the sport. We have given them more reason to talk about our sport adversely. We have and continue to give the mainstream media too many free kicks and own goals as a collective. It’s time to stop pressing the self-destruct button. At Perth Glory Football Club, we have 21 fans who have been banned for a variety of reasons and we are currently dealing with three (3) cases which are being reviewed and have been submitted to FFA for consideration. We have also made it known that if fans feel that their cases need to be reviewed that they come forward stating their case and the circumstances around their request to review their ban and which we will take up with FFA on a case by case basis. What have we learned from the past? We must not forget where we have come from. Whilst kudos and due recognition must be given to the past for carrying the torch for soccer for so long with limited resources, we must not forget the plight the game faced in the early 2000’s where it was clearly at the crossroads. However, I also don’t think we have succeeded in bringing the “old” along on a journey as the game prospers, although the FFA Cup has been an outstanding success connecting grassroots football with the Hyundai A-League. This came at a time when Australia was producing some extraordinary football talent. Who can forget the emergence of Mark Viduka who at age 19, won the Player of the Year, Under 21 Player of the Year and Top Goal scorer all in the same year. Whilst it came with great personal disappointment for my Club, South Melbourne, where I was a Life Member, it came as no surprise to me when the NSL was disbanded in 2004. However, not all was bleak, the emergence of Perth Glory Football Club in 1996 was spectacular with regularly sold out crowds of between 13,000 – 18,000 each week at Perth Oval. Clubs like my old Club South Melbourne built a purpose built rectangular stadium as their home at the old Lakeside Oval (once home to South Melbourne Football Club now known as Sydney Swans) and regularly averaged crowds of 8,000 – 9,000 at their home games. Current Socceroo Coach, Ange Postecoglou was given his first chance to coach the historic Club and which he did very successfully adding two championships as coach to his two championships as a player and leading the Club in the inaugural FIFA World Club Championship and drawn against Clubs such as Manchester United and Vasco Da Gama. New clubs like Collingwood Warriors, Carlton FC and Northern Spirit came and went, invariably targeting the ‘mainstream’ football fans with no ethnic base. Carlton FC provided young guns Mark Bresciano, Vince Grella and Josh Kennedy their entree into spectacular football careers. Sydney United and Melbourne Knights continued to be a football development factory for Australian Football and what talent they produced, names like, Tony Popovic, Ned Zelic, David Zdrilic, Mark Rudan, Jacob Burns, Zeljko Kalac, Mark Bosnich, Ante Milicic, Mark Viduka, Josip Skoko and the list goes on. In 1999, as a young aspiring sports administrator, I decided to pursue opportunities outside of football to master my accidental career path. My opportunity was provided when I was offered a senior marketing / commercial role at Hawthorn Football Club which springboard my career with senior roles within the AFL, Etihad Stadium and Swimming Australia. My personal experience with football was one of contrast. Having two (2) children aged 19 and 8, I have experienced two very different environments with football at the grassroots. When I took my eldest son George to play Under 8s with South Melbourne in 2004, I recall that the club had one team per age group and we would play other clubs each week who also had one team per age group. Some weeks we would be short of players and other weeks the other clubs would be short of players and we would swap players to make up the numbers. Fast forward nine (9) years later in 2013 when I took my youngest son, Jonathan, to a local community Club called Ashburton United in the south eastern suburbs of Melbourne – here we find that there are up to eight (8) teams per age group at a Club with over 1,200 juniors. Extraordinary. They had access to five (5) reserves around Ashburton, including some underutilised AFL reserves. The names of juniors were no longer ending with ‘os or ‘ic or ‘ski, they were the Smiths’ and Jones’. The families were coming from traditional “Auskick” environments to “Football”. In 2015, Auskick saw a decline in numbers of upto 15% in some regions whilst football continues to swell in numbers. One of my jibes around town which is not appreciated by some quarters is that whilst cricket grounds and AFL grounds erect Auction Boards to advertise for “Players Wanted”, football just keeps on taking over their grounds to accommodate the soaring demand. This is another challenge we need to keep working on as our participation base continues to soar, working with local, state and federal governments to ensure we are getting access to our fair share of facilities and funding. In Perth, we are excited to be working on a Home of Football collaboratively with Football West and the State Government which is working on providing the state with a true “Home of Football” to house our elite and community needs. An exciting project indeed and well deserved for the 45,000 participants of football in WA. Where are we now and where are we heading? 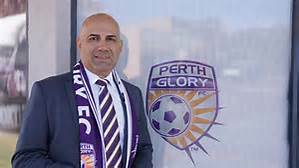 After 15 years away from the sport, I got my opportunity to return earlier this year by taking up the post as CEO at Perth Glory Football Club, following the controversial salary cap scandal of the 2014/15 Hyundai A-League Season. Four months in, I am relishing the opportunity and challenges that come with it as we enter a new phase of consolidation and rebuild. There is no doubt the Hyundai A-League is a lot more marketable. Fox Sports presents the sport so well in their coverage of all games each week. Our Socceroos are regularly qualifying for the World Cup and in 2015 and we won the AFC Asian Cup on home soil. The interest in football is increasing amongst the community, government and corporate Australia and the platform has been set over the last ten (10) years from which the game can now propel itself from. Not for a minute should anyone underestimate the ‘heavy lifting’ that has been performed by the Lowy administration since taking over. Our ‘shop front’ window is looking better than ever despite recent issues. However, behind the scenes we have invariably many similar issues and which need to be resolved if we are to continue to improve and develop as a sport and league. Our attendances fluctuate and the league needs more aggressive marketing – in fact I don’t believe we have a dedicated Chief Marketing Officer at FFA to drive Marketing strategies. We lack a strong vision for the league. What’s our vision for 2020, 2030 and beyond. What strategies are we implementing to achieve this vision? What are the key strategic pillars which will be the pathway to our vision? Is our football pyramid as it should be? The FFA Cup has been overwhelmingly successful, so what have we learned from it? See below for my view. What plagues the Hyundai A-League in my opinion is the absence of a strong and clear strategy for the competition. What’s our vision for the A-League in the next 4 years, what do we want the competition to look like and more importantly what are the key pillars to the strategy that will help achieve this vision. 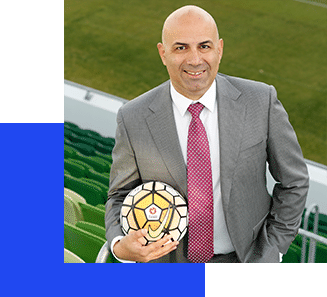 As a new CEO of a Club in the Hyundai A-League and regularly speaking about the game with sponsors, government, fans and the broader community, I am not able to speak with clarity about our vision and strategy as a competition. As a Club, we are embarking on our own four (4) year strategy at present and this will be made much easier if we were clear on the A-League strategy and vision. The FFA are working on a strategy at the moment, however, a concern I have raised with them is that the A-League is only a component of the overall strategy. It’s now time to expand on this strategy to develop a vision for the league and this process needs to involve all stakeholders – owners, CEOs, FFA Board and management, players, fans, broadcasters, sponsors…. This strategy and vision needs to be developed by all key stakeholders as a one united front. The time to develop this vision and strategy for the Hyundai A-League is NOW. The strategy will encompass all facets of the league, expansion, financial sustainability, commercialisation, corporate governance, broadcast, digital, marketing, marquee players, venues, fan engagement etc. Controversially, what also needs to be considered in my opinion is a national second division so we can begin developing the next tier of playing talent as part of our talent development pathways as well as building the next layer of national football brands. This is by no way an endorsement of promotion relegation as I don’t believe our model can sustain this at the moment. At present, if we as a Club wanted to identify talent in the National Premier League, which is a state by state type tiered football league, we would need to troll through over 200 clubs and around 4,000 players with our best talent spread over too many clubs. In my opinion, we are not seeing the best of the next tier of talent. A national second division (without promotion / relegation to the A-League for now) would capture our best talent across ten (10) clubs providing a national stage for them to shine and be indentified. This view is further reinforced by the current situation where very only few players are rising from the NPL to the A-League as the gap is too big. Capturing the best 200 next tier players in one national second division of ten (10) Clubs will help nurture and develop our best talent as well as build the next layer of football brands. Recently at Perth Glory we trialled a number of NPL products from all over Australia who are not too far from A-League but not too close either, however, this great young talent would benefit from a second division national tier which will accelerate their transition into the top league by playing in a stronger competition. A close review of the statistics of players transitioning from NPL to A-League will be alarming and needs to be reviewed and considered in the whole of football strategy. Of course this comes with financial challenges, however, if we don’t have aspirational elements to our strategy, we are not trying hard enough. As we enter the most pivotal time that has confronted our sport in the last decade, the decisions we make in the coming months will determine where our sport will be in the next 5, 10 and 20 years. As a new FFA Chairman settles into the role and inducts his relatively new Board, we look forward to participating in whatever needs to be done to find our path to sustainable success as a sport and competition. Without an aspirational strategy and vision we will not capitalise on the explosion of football at the grassroots. South Melbourne Hellas and the Melbourne Knights are two of Victorian soccer’s most successful clubs. Both teams were giants in the old NSL days and they are still going strong in the Victorian Premier League. On September 1 the Knights won 2-1 against Hellas thanks to goals scored by James McGarry and Andrew Barisic. Tyson Holmes scored for South Melbourne in the first half after McGarry gave the Knights the lead but Barisic scored the winner with three minutes of the match remaining. The recent encounter was the 87th derby between the two clubs. Both teams have been involved in many great clashes and I’ve selected a few worth talking about. Hellas and the Knights have made a great impact on their ethnic communities and from a footballing perspective, they have provided Australian soccer fans with some great memories.